I have been writing on my blog for over two years now concerning the disturbing trend of more and more people becoming dependent on the federal government for more of their income than ever before. This encourages laziness in my view and in the case of the food stamp system many people find themselves in what Milton Friedman calls the “Welfare Trap.” (Much of this trend started under President Bush and had Republican support.) I wanted to point out that we should cut back on government spending and let the private economy do it’s magic. The Farm Bill has too much fat in it!!! 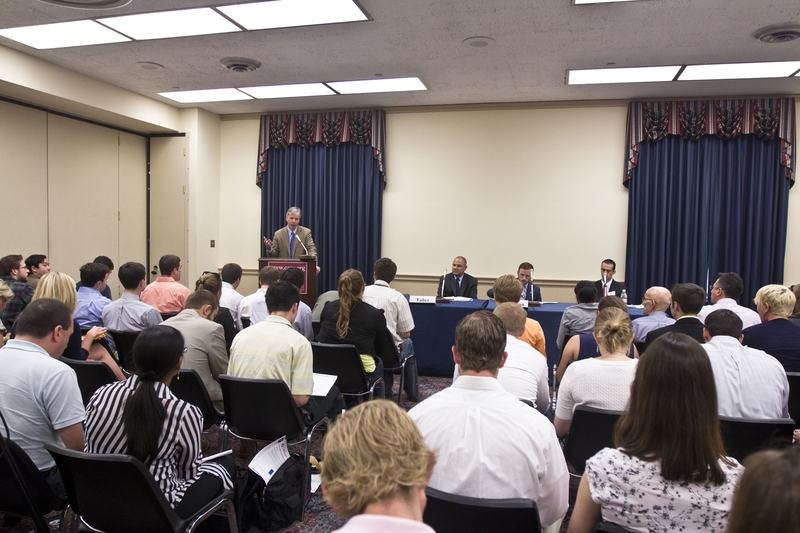 Cato held a packed forum on Capitol Hill yesterday examining major farm legislation that is moving through Congress. Our panelists included Andrew Moylan of R Street, Josh Sewell of Taxpayers for Common Sense, and Scott Faber of the Environmental Working Group. I discussed five reasons why farm subsidies make no sense. 1. Unfair Redistribution. Farm programs take from average taxpayers and give to higher-income farm households, which is a reverse Robin Hood scheme. In 2011 average incomes of farm households was $87,289, or 25 percent higher than the $69,677 average of all U.S. households. 2. Economic Distortions. Farm subsidies can induce excess production, an overuse of marginal farmland, and land price inflation. Subsidies can cause less efficient planting, induce excess borrowing by farmers, and cause insufficient attention to cost control. Farm businesses have less incentive to innovate and control their costs because they know that the government will always bail them out. 3. Environmental Damage. Farm subsidies tend to draw marginal farmland into production, lands that might otherwise be used for forests or wetlands. Subsidies can also induce excess use of fertilizers and pesticides in farm production. 4. Farming Not Unique. Why is farming so coddled by the government? It’s a risky business, but not uniquely so. Industries such as high technology, newspapers, and restaurants are very risky, yet they don’t rely on government handouts. Farming faces certain risks such as adverse weather. But high-tech companies are vulnerable to rapid innovations by competitors, and restaurants are vulnerable to changing consumer tastes and intense competition. Farmers are supposed to be rugged individualists, so is it strange that they don’t feel more guilt and embarrassment about sponging off taxpayers decade after decade. Instead, farm organizations intensely lobby to keep and expand their welfare handouts from the government. 5. Farming Would Thrive Without Subsidies. If farm subsidies were ended, farming would go through a transition period, which would be tough on some farmers. But farmers would adjust by changing their mix of crops, altering their land use, cutting costs, innovating with new crops and new technologies. Some farms would go bankrupt. But a stronger and more innovative agriculture industry would emerge that would be more productive and more resilient in the long run. Consider New Zealand’s reforms in the 1980s. That country eliminated nearly all its agriculture subsidies, which created challenges for the nation’s farmers. But New Zealand farmers turned out to be great entrepreneurs, and they made impressive changes to survive and thrive in the new free market environment. Today, New Zealand farmers generally don’t want subsidies, and they argue that we would be all better off without them.